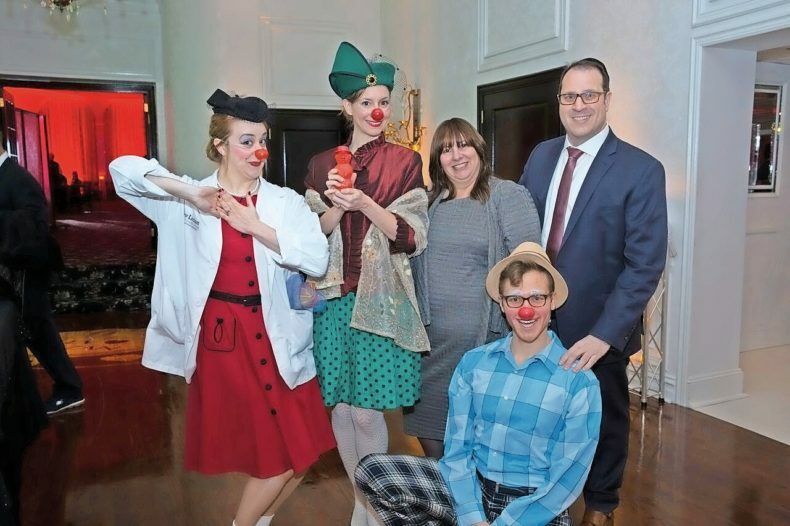 Couture For A Cause held its annual fundraising event at Temple Beth El in Cedarhurst on March 2, which was attended by 350 people, honored Dr. Neal Goldberg, the founder of the Lev Leytzan clowns. Goldberg was the 2016 Herald Person of the Year for the impact this medical clown troupe has had. The comedy of Elon Gold combined with a casino to benefit Lev Leytzan. Gold, a comedian and actor, has stared in FOX’s “Stacked” and NBC’s “In-Laws.” He has appeared on the “Tonight Show” 10 times and had a recurring role on “Bones,” recently.